If there’s one thing that Rankin/Bass set the precedent for in the animation industry, it was their use of foreign labor. They were one of the first studios to use overseas companies exclusively for animation production, something that would become the norm in made-for-TV animation today. When I talked to Basil Cox, who was the studio’s associate producer in the early 1970s, he told me that they never really employed full-time crew members that most animation studios at the time required. It was just Rankin and Bass themselves, plus composer Maury Laws. 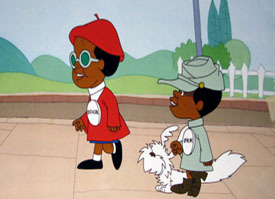 Character designers such as Paul Coker Jr. were brought in whenever design work was required. Since everything was done overseas there was no need to employ animators. Arthur Rankin Jr., having worked at ABC as an art director, started Videocraft International in the late 1950s, located in New York. Jules Bass, who worked at one of the ad agencies that Videocraft dealt with, later joined the company. Their early projects involved commercials, with clients such as A&P and General Electrics. While several of them utilized limited animation, they were mostly in live-action. According to Rankin, there were desires to go into television programs early on. “Frankly we wanted to get out of commercials because you’re just doing what somebody else wants you to do,” Rankin said in a 2005 interview with Jim Colucci. Around this time the Japanese government has been sending representatives to USA, wanting to export their products to the country. A person representing the country’s film industry asked somebody in Washington if he knew any animation producers. It turned out the man knew Rankin, so he was lead to him. The Japanese representative invited Rankin to Japan to visit their animation studios. Rankin toured numerous studios, including Toei Doga, as well as a studio that did stop-motion work. Impressed at what they were doing, Rankin, who has been looking for a way to find the production facilities needed to produce a series, decided to use the Japanese studios to produce his shows. 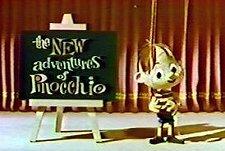 The first series Videocraft did was The New Adventures of Pinocchio, a stop-motion series produced in Japan at Dentsu Studio. With that, the Videocraft company, also known as Rankin/Bass, started producing television specials and Saturday Morning programs, both with cels and stop-motion, and almost all of them done in Japan. Since I write about vintage TV anime, I decided to examine the studios that Rankin/Bass used on their cel-animation projects. Toei was one of the studios Rankin visited on his first trip to Japan. Having been in business since 1956, Toei was regarded as the Japanese Disney studio, producing high quality features and short films. They started producing shows for television in 1963 with “Wolf Boy Ken”, which I wrote about in the past, so they were already familiar with the demands of television schedules when they agreed to animate King Kong for Videocraft. Unlike most shows they contracted out, Toei managed to get the rights to have this show aired in Japan, part of the deal they made with the company. King Kong, which also included “Tom of T.H.U.M.B.” in the middle, aired on ABC Saturday Mornings starting September 10, 1966. In Japan, it aired on the NET (Nihon Educational Television) network from April 5 to October 4, 1967. NET (now TV Asahi) is partly owned by Toei, hence the network airing shows and cartoons made by the Toei company. 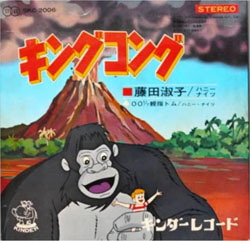 Because it aired in Japan, “King Kong” is regarded as a Japanese/USA co-production. In Japanese anime listings the show is frequently listed as one of the shows airing in 1967, with both companies listed as producers. Among the animators involved on the show includes Yasuji Mori (who would create “Hustle Punch”), Tsutomu Shibayama and Osamu Kobayashi (both animation directors for The Gutsy Frog). On the US side, Jack Davis did the character designs. Unfortunately, Davis’s style wasn’t suited for limited animation, especially the kind done by Japanese artists not familiar with the American style. As a result, his design work ended up being extremely butchered. One is hard-pressed to watch the show and recognize Davis’ design work. TCJ was an ad agency dealing with commercials. They had their own in-house animation department, handling all of their animated commercial needs. They entered the anime market in 1963, starting with “Tetsujin 28-go”, aka Gigantor. Their other shows, Prince Planet (Yuusei Shonen Papi), and 8th Man, also aired in the States. In 1973, the animation studio changed name to Eiken and is still in business today. As far as I know, the 1967 Christmas special The Cricket on the Hearth is the only work the company did for Rankin/Bass. TCJ wasn’t the studio making quality work at the time, and it shows in this special, with rather bulky, unappealing animation. Mushi was founded by Osamu Tezuka as an outlet to produce Astro Boy, Kimba the White Lion, and other early TV anime. However, as Fred Patten documents in his post, the company went through financial troubles, leading to Tezuka leaving the company. Knowing its troubles, it’s likely that the new owners agreed to take in work from the Rankin/Bass company in an effort to save their business. 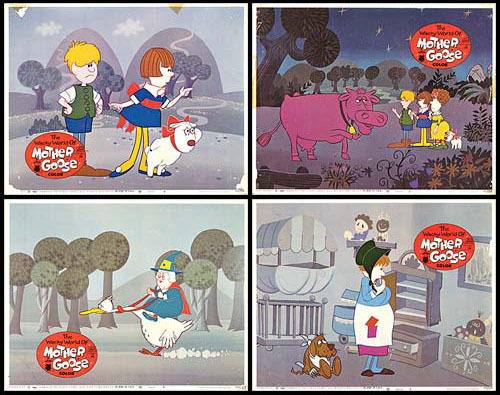 Rankin/Bass used Mushi on their cel-animated products from 1969 to 1972; the company shut down the following year, so one must wonder if Rankin/Bass saw the writing on the wall when they looked for another company to animate their shows. I consider Mushi to be the best studio that Rankin/Bass used. 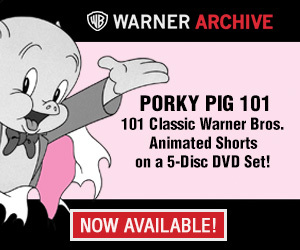 Most of the programs they animated utilized character designs by MAD Magazine’s Paul Coker Jr. and they were, for the most part, able to animate his design style pretty good. Their first work for the company, “Frosty the Snowman”, utilizes colored, hand-inked outlines on cels. Mushi has utilized hand-inked cels on a lot of their shows, but by 1969 it has become rarer and rarer, with studios, both US and Japan, having made the switch to cheaper xerox process. On the other hand they had a hard time animating Bruce Stark’s celebrity caricatures in a remarkable trainwreck that is The Mad, Mad Mad Comedians, a 1970 TV special that aired right before that year’s Oscar ceremony. Bruce Stark (1933-2012) was a cartoonist and caricature artist whose work appeared on the covers of TV Guide and other publications. “Comedians” was his only credit in animation, and the artists at Mushi just couldn’t animate his designs. As with Jack Davis, his style wasn’t suited for the limited TV animation. Here’s a studio that would turn out to be important for the history of Japanese animation. It was founded in February of 1972 by ex-staff members of Toei Doga, including president Toru Hara. 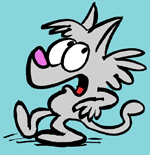 After meeting with Arthur Rankin Jr., they got their first job animating “Kid Power”, based on a “Wee Pals” newspaper comics strip by Morrie Turner (1923-2014). Directors assigned on the show included Katsuhisa Yamada and Tokiji Kaburaki, with Tsuguyuki Kubo as the supervising director. They would also complete three episodes of “The Jackson 5ive” show, which was otherwise done by Halas & Batchelor in England and Pegbar Productions in Spain. Topcraft would provide full service for Rankin/Bass, even doing storyboards; for example, the storyboards for “The First Easter Rabbit” was done by Keiji Hisaoka. They would also prove to be the most capable of handling Rankin/Bass’s more ambitious projects. Their adaptation of “The Hobbit” took five years to make and cost $3 million, one of the most expensive made-for-TV animation of the era, according to a 1977 New York Times article. As for what Topcraft did for their home country, when they wern’t getting anything from Rankin/Bass, they served as a service studio for larger studios to contract out, including Toei (Mazinger Z), TCJ/Eiken (Onbu Obake, Jim Button), Tatsunoko (Gatchaman), and Tokyo Movie Shinsha (Lupin the 3rd, Chie the Brat). In the 1980s plans were made to produce “Nausicaä of the Valley of the Wind”, based on Hayao Miyazaki’s manga. Miyazaki himself would direct, and he and his partner Isao Takahata, who served as the film’s executive producer, chose Topcraft to produce the film. The finished film turned out to be a hit, establishing Miyazaki as a feature director. Topcraft officially dissolved in 1985 when the name was changed to Studio Ghibli. The rest, as they say, is history. Can’t blame Rankin/Bass for trying in finding the right artists for the job there, given the pool of talent they picked from. I’m sure these artists were glad to have been a part of the experience and even got credited for their efforts unlike their Japanese counterparts of the time. “They would also prove to be the most capable of handling Rankin/Bass’s more ambitious projects. 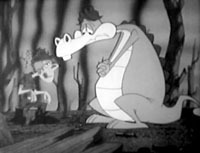 Their adaptation of “The Hobbit” took five years to make and cost $3 million, one of the most expensive made-for-TV animation of the era, according to the 1977 New York Times article. It’s interesting to see how they progressed since, going back to 1972, their work wasn’t quite up to snuff to say the least but they did had half a dozen projects from R/B to so that is understandable when looking back on their earlier years (had that in mind while watching “Red Baron”). By 1977 they definitely got it all sorted out. The films done Rankin Bass and others for “Saturday Superstar Movies” — Any chance we’ll see more of those on video? Or does the abundance of licensed properties and celebrities consign them to lawyerland? I picked up “Mad Mad Mad Monsters”, the only one I know was released (aside from a Karloff caricature the monsters are all generic). Despite Croker’s designs and a Mad magazine writer on the script, it’s pretty weak. A few of them had shown up on VHS in the past and at present they’re part of the Dreamworks Classics library if or when they may ever see the light of day again (are you listening Shout Factory? This is what you need to go after instead of that Argentine flick that’ll get all the buzz soon by angry moms). That’s all you could say about this (The Saturday Superstar Movie alone doesn’t really have any true gems in it at all besides being a launching pad for potential shows to come out of, of which only two managed to make it out the gate). The Red Baron kinda falls into the same trap as well, weak story though I dig Coker’s designs on it. Good article Charles, now we know who to blame for “RANK-and-BASE” VIDEOCRAP animation! What studio worked on Thundercats. Namely, the opening animation? I believe Topcraft did the opening titles for “Thundercats”. The animation is credited to “Pacific Animation Corporation”, which is a collective name for several studios. Pacific Animation Corporation, and they were future Studio Ghibli animators. I used to think it was Topcraft. The same people worked on Silverhawks and Tigersharks, although it looks like The Hobbit, The Return of the King, The Flight of Dragons, The Last Unicorn also. There was a marked difference in animation quality among episodes in the first season, only around a third of which resemble the opening sequence so perhaps they were further outsourced to Korea, but that’s speculation. Fantastic article. So who was responsible for the animation of the stop-motion films; Couldn’t find any of them atributed to one of the 4 studios mentioned in the article. MOM Film Studio, established by Japanese stop-motion puppet animator Tad Mochinaga, was the subcontractor of all the Videocraft features (and specials) in the 1960s.